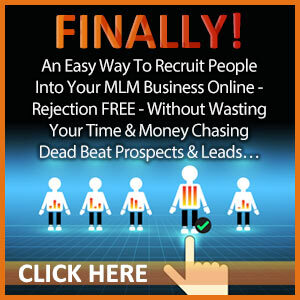 Struggling to get results with your Network Marketing Recruiting methods? You’re probably following all types of strategies to find prospects for your MLM business but still not able to recruit successfully. 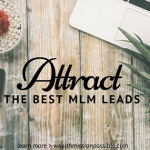 Regardless of which online or offline method you use, there is one thing at the heart of MLM recruiting that never changes, that is: creating real connection, adding value to other people’s lives and staying consistent over the long-term. 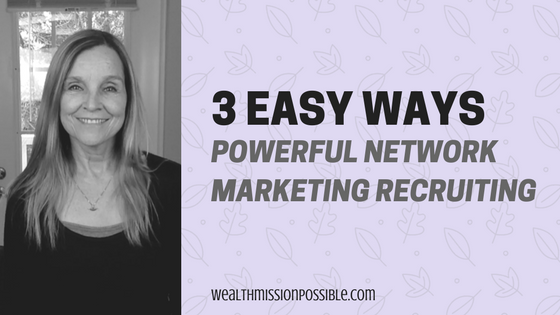 Today I have 3 ways for you to improve your network marketing recruiting skills. If you find this post helpful, do share with your team! Before you even start thinking about strategies for network marketing recruiting, you need to make a decision. That’s right! 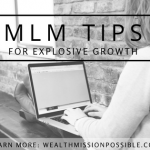 You may be thinking that you already made one when you started your MLM business. That’s not the decision that’s important. YOUR most important decision after starting your network marketing business is to be a professional. Here’s the thing… the majority of people in MLM treat it like a little hobby. All I know is that a real business will pay you in the long run, while hobbies cost money. Get what I am saying here? The sooner YOU decide to be professional, the sooner you will get on-board with building a successful business. Treating it like a “side” business (even if you are doing it part time for now) will likely NOT move you forward because you won’t take it seriously! When you decide to be a network marketing professional, recruiting gets easier because you are taking it seriously and it will become part of your everyday activities. If you need help with learning to be a professional, read this book! What happens if you approach people with “desperation” or lack of confidence written all over you? They will run the other way! Have you had it happen? We all have. When you expose someone to your product or opportunity, you want to do so from a position of strength and confidence. You get that from personal development, also known as working on YOU! If you decided to take your business seriously, then your next step is to understand that you have something amazing to offer your prospects. You can help them change their lives for the better, whether through your products or financially via your business. Coming from a position of strength is your most powerful network marketing recruiting tip! You have an amazing opportunity to offer others: that is, the chance to change their lives for the better and realize their dreams! That is exactly how you should be thinking when you are recruiting for your MLM business! 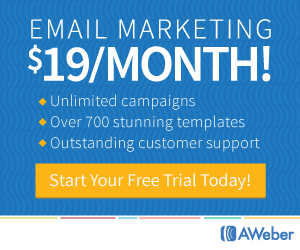 3 – What are the Right Tools for Network Marketing Recruiting? OK. This one is super important. Are you blabbing on and on and on to your MLM prospect? Did you catch that glazed over look in their eyes? Blabbing about the next great thing will not help build your team. 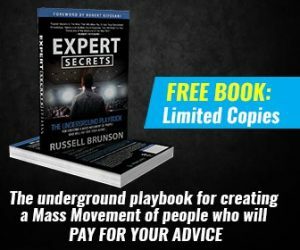 The secret here is simple and anyone can do it, even if you are brand new to network marketing. Use third party tools! What’s that you ask? Professionals let the tool do the real work! Imagine if you had to spend even 30 minutes carefully explaining the details of your business to every MLM prospect? Your company already has professionally made marketing materials. Make use of them and let them do the talking for you! Network marketing recruiting doesn’t have to be hard! Make your decision to be professional, do your personal development to gain confidence and then let the tools do the work for you! Simple enough! If you follow these tips, your skills will improve and you’ll be growing your team fast! Did you get some value here? Do share in social media, thank you! For even more powerful tips about growing a successful network marketing business click here for a FREE training.